FUEL EFFICIENT 31 MPG Hwy/24 MPG City! Very Nice, CARFAX 1-Owner. Sunroof, Heated Seats, iPod/MP3 Input, Bluetooth, JETTA CHROME EXHAUST TIPS, Alloy Wheels, Satellite Radio. EXCELLENT SAFETY FOR YOUR FAMILY Child Safety Locks, Electronic Stability Control, Brake Assist, 4-Wheel ABS, Tire Pressure Monitoring System, Front Disc/Rear Drum Brakes Safety equipment includes Child Safety Locks Volkswagen SE w/Convenience & Sunroof with Reflex Silver Metallic exterior and Titan Black interior features a 5 Cylinder Engine with 170 HP at 5700 RPM*. OPTION PACKAGES JETTA CHROME EXHAUST TIPS. Serviced here, Non-Smoker vehicle. EXPERTS CONCLUDE The quality is still high, the ride still good, and lovely new styling with more interior room. -newCarTestDrive.com. Great Gas Mileage: 31 MPG Hwy. BUY FROM AN AWARD WINNING DEALER Here at Baxter Volkswagen Omaha, our commitment to our customers goes far beyond your initial vehicle purchase. We don't want you to just have a great buying experience at our Volkswagen dealership in Omaha, NE, we want to provide you with all that you need to have a wonderful life with your new car. Pricing analysis performed on 4/17/2019. Horsepower calculations based on trim engine configuration. Fuel economy calculations based on original manufacturer data for trim engine configuration. CARFAX 1-Owner, Clean. EPA 42 MPG Hwy/30 MPG City! Heated Seats, Premium Sound System, Satellite Radio, Diesel, TDI MAT KIT, Aluminum Wheels, Turbo Charged. EXPERTS CONCLUDE The SportWagen retains its expensive first-rate interior, sophisticated rear suspension, and rear disc brakes. -CarAndDriver.com. Great Gas Mileage: 42 MPG Hwy. SHOP WITH CONFIDENCE CARFAX 1-Owner KEY FEATURES INCLUDE Heated Driver Seat, Turbocharged, Diesel, Premium Sound System, Satellite Radio OPTION PACKAGES TDI MAT KIT: (4) TDI rubber mats & trunk liner. Safety equipment includes Child Safety Locks, Electronic Stability Control, Brake Assist, 4-Wheel ABS, Tire Pressure Monitoring System, 4-Wheel Disc Brakes. Volkswagen TDI with Candy White exterior and Titan Black interior features a 4 Cylinder Engine with 140 HP at 4000 RPM*. Non-Smoker vehicle. 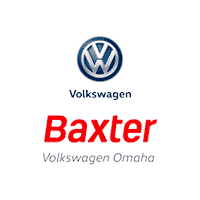 OUR OFFERINGS Here at Baxter Volkswagen Omaha, our commitment to our customers goes far beyond your initial vehicle purchase. We don't want you to just have a great buying experience at our Volkswagen dealership in Omaha, NE, we want to provide you with all that you need to have a wonderful life with your new car. Pricing analysis performed on 4/20/2019. Horsepower calculations based on trim engine configuration. Fuel economy calculations based on original manufacturer data for trim engine configuration. Please confirm the accuracy of the included equipment by calling us prior to purchase. Very Nice, CARFAX 1-Owner. FUEL EFFICIENT 42 MPG Hwy/30 MPG City! Heated Seats, Satellite Radio, iPod/MP3 Input, Diesel, JETTA TDI APPEARANCE PKG, Alloy Wheels, Turbo. EXPERTS RAVE newCarTestDrive.com's review says The quality is still high, the ride still good, and lovely new styling with more interior room.. Great Gas Mileage: 42 MPG Hwy. KEY FEATURES INCLUDE Heated Driver Seat, Turbocharged, Diesel, Satellite Radio, iPod/MP3 Input. OPTION PACKAGES JETTA TDI APPEARANCE PKG (4) rubber mats, trunk liner, lip spoiler, chrome exhaust tips. Safety equipment includes Child Safety Locks, Electronic Stability Control, Brake Assist, 4-Wheel ABS, Tire Pressure Monitoring System, 4-Wheel Disc Brakes. Volkswagen TDI LE with White Gold Metallic exterior and Titan Black interior features a 4 Cylinder Engine with 140 HP at 4000 RPM*. Non-Smoker vehicle. OUR OFFERINGS Here at Baxter Volkswagen Omaha, our commitment to our customers goes far beyond your initial vehicle purchase. We don't want you to just have a great buying experience at our Volkswagen dealership in Omaha, NE, we want to provide you with all that you need to have a wonderful life with your new car. Pricing analysis performed on 4/20/2019. Horsepower calculations based on trim engine configuration. Fuel economy calculations based on original manufacturer data for trim engine configuration. Please confirm the accuracy of the included equipment by calling us prior to purchase. Non-Smoker vehicle, CARFAX 1-Owner, Very Nice. FUEL EFFICIENT 42 MPG Hwy/30 MPG City! Heated Seats, Moonroof, Diesel, Satellite Radio, JETTA TDI APPEARANCE PKG, Aluminum Wheels, Turbo Charged Engine. WHY BUY FROM US Here at Baxter Volkswagen Omaha, our commitment to our customers goes far beyond your initial vehicle purchase. We don't want you to just have a great buying experience at our Volkswagen dealership in Omaha, NE, we want to provide you with all that you need to have a wonderful life with your new car. OPTION PACKAGES JETTA TDI APPEARANCE PKG (4) rubber mats, trunk liner, lip spoiler, chrome exhaust tips. . VEHICLE REVIEWS newCarTestDrive.com explains The quality is still high, the ride still good, and lovely new styling with more interior room.. Pricing analysis performed on 4/10/2019. Fuel economy calculations based on original manufacturer data for trim engine configuration. CARFAX 1-Owner, Very Nice, LOW MILES - 59,489! FUEL EFFICIENT 42 MPG Hwy/30 MPG City! Heated Seats, Satellite Radio, iPod/MP3 Input, Diesel, TDI APPEARANCE PKG, Aluminum Wheels, Turbo Charged Engine. KEY FEATURES INCLUDE Heated Driver Seat, Turbocharged, Diesel, Satellite Radio, iPod/MP3 Input Volkswagen TDI with Black exterior and Cornsilk Beige interior features a 4 Cylinder Engine with 140 HP at 4000 RPM*. OPTION PACKAGES TDI APPEARANCE PKG (4) rubber mats, trunk liner, lip spoiler. Non-Smoker vehicle. EXPERTS ARE SAYING The 2012 Volkswagen Jetta is roomy and more affordable than ever. -Edmunds.com. SHOP WITH CONFIDENCE CARFAX 1-Owner WHO WE ARE Here at Baxter Volkswagen Omaha, our commitment to our customers goes far beyond your initial vehicle purchase. We don't want you to just have a great buying experience at our Volkswagen dealership in Omaha, NE, we want to provide you with all that you need to have a wonderful life with your new car. Pricing analysis performed on 4/19/2019. Horsepower calculations based on trim engine configuration. Fuel economy calculations based on original manufacturer data for trim engine configuration. Please confirm the accuracy of the included equipment by calling us prior to purchase. EPA 42 MPG Hwy/30 MPG City! Very Nice, CARFAX 1-Owner. Heated Seats, Moonroof, Diesel, Premium Sound System, TDI APPEARANCE PKG, Aluminum Wheels, Turbo Charged Engine. EXCELLENT SAFETY FOR YOUR FAMILY Child Safety Locks, Electronic Stability Control, 4-Wheel ABS, 4-Wheel Disc Brakes, Tire Pressure Monitoring System Safety equipment includes Child Safety Locks Volkswagen TDI w/Premium with Tempest Blue Metallic exterior and Titan Black interior features a 4 Cylinder Engine with 140 HP at 4000 RPM*. OPTION PACKAGES TDI APPEARANCE PKG (4) rubber mats, trunk liner, lip spoiler. Non-Smoker vehicle. EXPERTS ARE SAYING Edmunds.com's review says The 2012 Volkswagen Jetta is roomy and more affordable than ever.. Great Gas Mileage: 42 MPG Hwy. WHO WE ARE Here at Baxter Volkswagen Omaha, our commitment to our customers goes far beyond your initial vehicle purchase. We don't want you to just have a great buying experience at our Volkswagen dealership in Omaha, NE, we want to provide you with all that you need to have a wonderful life with your new car. Pricing analysis performed on 4/15/2019. Horsepower calculations based on trim engine configuration. Fuel economy calculations based on original manufacturer data for trim engine configuration. Very Nice, ONLY 69,882 Miles! PRICE DROP FROM $7,980, EPA 36 MPG Hwy/26 MPG City! AUDIO SYSTEM, AM/FM STEREO WITH CD PL... Satellite Radio, Onboard Communications System, ENGINE, ECOTEC 1.8L VARIABLE VALVE TI... CONNECTIVITY PACKAGE AFFORDABLE TO OWN Was $7,980. EXPERTS RAVE CarAndDriver.com explains Attractive cabin, tasteful styling, fuel-sipping turbocharged engine, refined demeanor, lengthy safety-equipment list.. Great Gas Mileage: 36 MPG Hwy. KEY FEATURES INCLUDE Satellite Radio, Onboard Communications System OPTION PACKAGES CONNECTIVITY PACKAGE includes (UPF) Bluetooth for phone, USB port located in center console and (W1Y) steering wheel-mounted audio controls, AUDIO SYSTEM, AM/FM STEREO WITH CD PLAYER AND MP3 PLAYBACK CAPABILITY, GRAPHICAL DISPLAY, ENGINE, ECOTEC 1.8L VARIABLE VALVE TIMING DOHC 4-CYLINDER SEQUENTIAL MFI (estimated 136 hp [101.4 kW] @ 6300 rpm, 123 lb-ft of torque [166.1 N-m] @ 3800 rpm), TRANSMISSION, 6-SPEED MANUAL WITH OVERDRIVE. Safety equipment includes Child Safety Locks, Electronic Stability Control, 4-Wheel ABS, Front Disc/Rear Drum Brakes, Tire Pressure Monitoring System. Chevrolet LS with Taupe Gray Metallic exterior and Jet Black/Medium Titanium interior features a 4 Cylinder Engine with 136 HP at 6300 RPM*. Non-Smoker vehicle. OUR OFFERINGS Here at Baxter Volkswagen Omaha, our commitment to our customers goes far beyond your initial vehicle purchase. We don't want you to just have a great buying experience at our Volkswagen dealership in Omaha, NE, we want to provide you with all that you need to have a wonderful life with your new car. Pricing analysis performed on 4/17/2019. Horsepower calculations based on trim engine configuration. Fuel economy calculations based on original manufacturer data for trim engine configuration. Please confirm the accuracy of the included equipment by calling us prior to purchase. Clean, GREAT MILES 29,372! JUST REPRICED FROM $9,350, EPA 38 MPG Hwy/34 MPG City!, PRICED TO MOVE $1,600 below NADA Retail! Heated Seats, iPod/MP3 Input, STYLE PACKAGE, CRUISE CONTROL PACKAGE, COMFORT PACKAGE. KEY FEATURES INCLUDE iPod/MP3 Input. smart Passion with Gray Matte exterior and Design Black interior features a 3 Cylinder Engine with 70 HP at 5800 RPM*. OPTION PACKAGES STYLE PACKAGE Additional Dashboard Instrument Gauges, Ambient Interior Lighting, Wheels: 15 BRABUS Matte Gray, LED Daytime Running Lamps (V12), COMFORT PACKAGE Heated Seats, Electric Power Steering, CRUISE CONTROL PACKAGE Deletes standard steering wheel shift paddles, Trip Computer, 3-Spoke Leather Steering Wheel w/Cruise Control, Cruise Control. Non-Smoker vehicle. EXPERTS ARE SAYING Easy to park in tight spaces; roomy seating for two people. -Edmunds.com. AFFORDABILITY Reduced from $9,350. This fortwo is priced $1,600 below NADA Retail. BUY FROM AN AWARD WINNING DEALER Here at Baxter Volkswagen Omaha, our commitment to our customers goes far beyond your initial vehicle purchase. We don't want you to just have a great buying experience at our Volkswagen dealership in Omaha, NE, we want to provide you with all that you need to have a wonderful life with your new car. Pricing analysis performed on 4/20/2019. Horsepower calculations based on trim engine configuration. Fuel economy calculations based on original manufacturer data for trim engine configuration. Please confirm the accuracy of the included equipment by calling us prior to purchase.